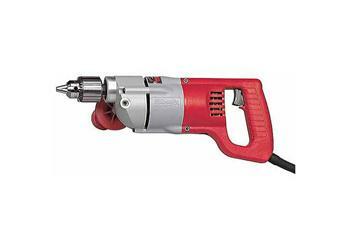 If more power is what you need, then look no further than the Milwaukee D-handle line of drills. With 7 amp motors and heat treated metal gears, these are truly the choice of the professional. The 1107-6 features 0 to 500 rpm, Quik-Lok® cord and can be used with our right angle drive attachment to increase versatility.